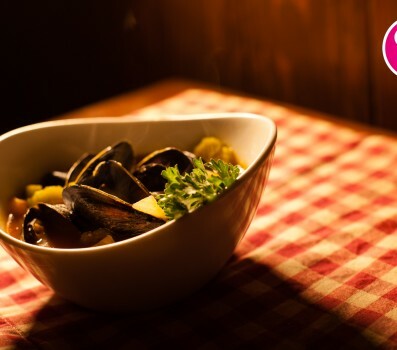 Paleo Food List > Are Mussels Paleo? Eating a Paleo diet is all about consuming nutrient-dense foods. There are a few reasons that we avoid grains, but one of the big ones is that they are extremely nutrient deficient. Have you ever heard of someone suffering from a grain deficiency? Me neither. Mussels are at the other end of the spectrum, among the most nutritious foods you can find. Any time you consume an animal in it’s entirety, you can be sure that you’re getting just about all of the nutrients you can. You may have to pry that shell open, but it’s well worth the effort. 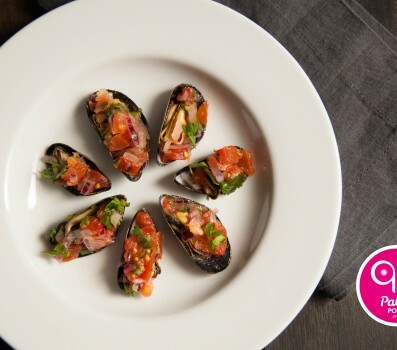 These meaty little shellfish are packed with protein, selenium, B vitamins (particularly B12 and folate), and zinc. All of these nutrients are vital to our health and you won’t find a richer source than shellfish. Mark Sisson has a whole post on why we should be eating our shellfish.